I hate to say I told ya so, but I did. 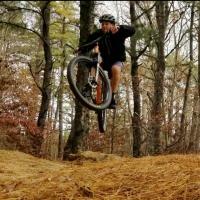 Yeti just announced a new XC mountain bike, the SB100, built around the company’s Switch Infinity suspension platform. 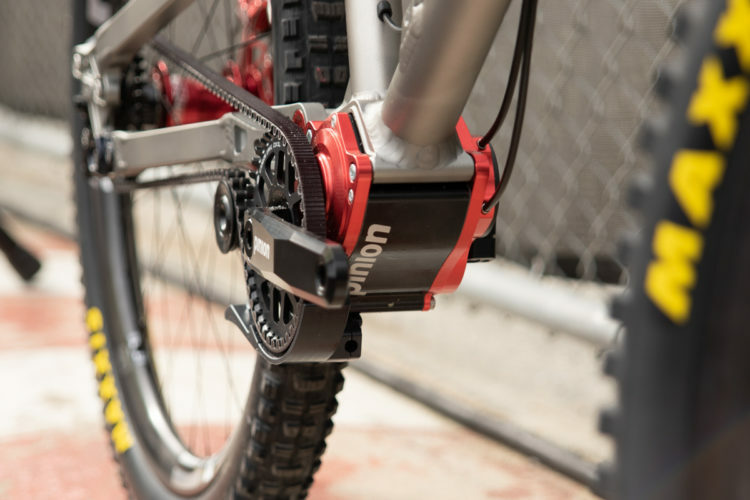 The new bike offers 100mm of rear travel, and Yeti says they shrunk the Switch Infinity mechanism and turned it 90 degrees to make the whole thing work. 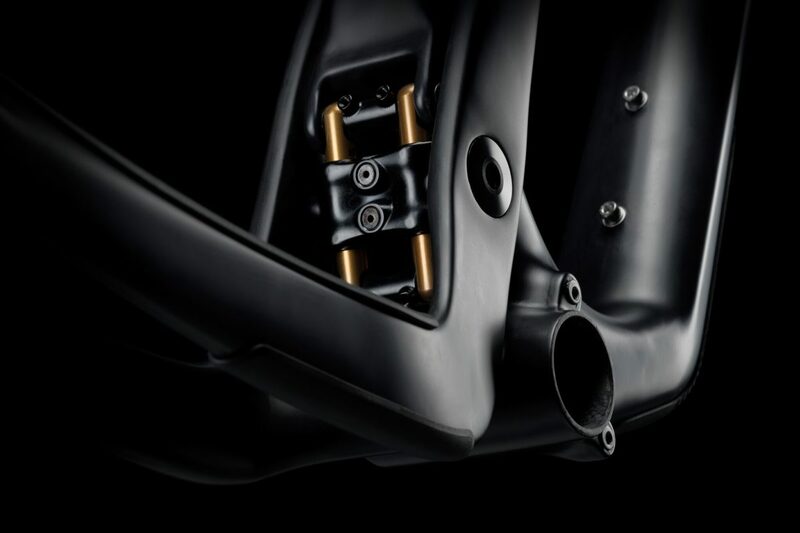 The upshot is an uninterrupted seat tube which allows riders to run longer-travel dropper posts and (gasp!) still have room for a water bottle. The future is here, and we’re getting our water bottle mounts back! 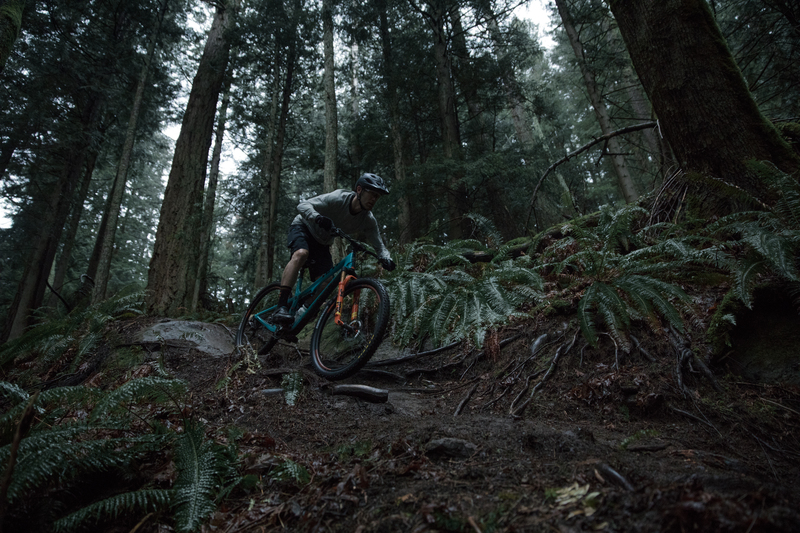 The Yeti SB100 features a 67.8° head tube angle which is fairly steep by today’s standards, so the bike should be an efficient climber. 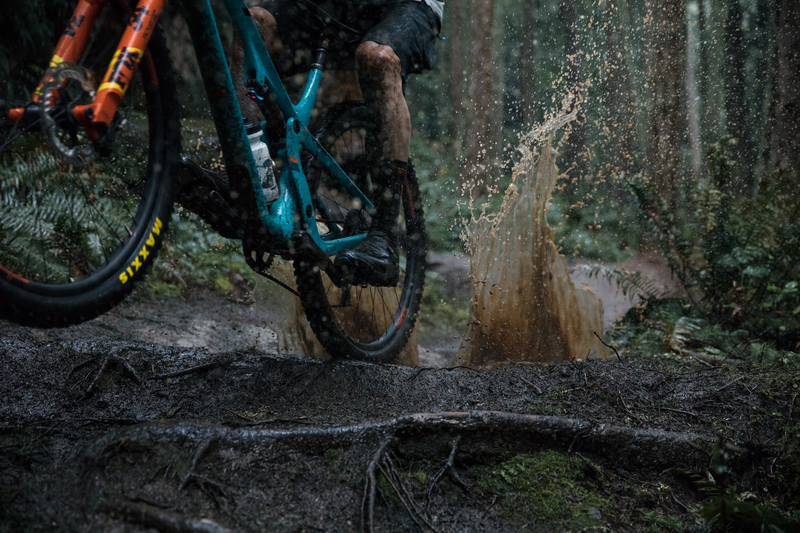 However, Yeti notes the “steeper,” ~74° seat tube angle which they claim makes the SB100 ride more like a trail bike than just an XC race machine. This certainly sounds like marketing hyperbole, but at the same time, it just might be true. 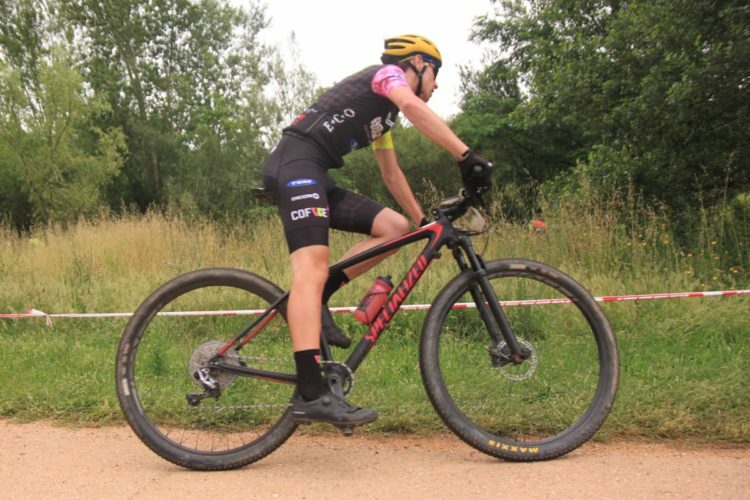 Will riders begin turning up their noses at trail and enduro bikes because, hey, XC bikes actually climb better and descend nearly as well? Perhaps the pendulum is swinging yet again. 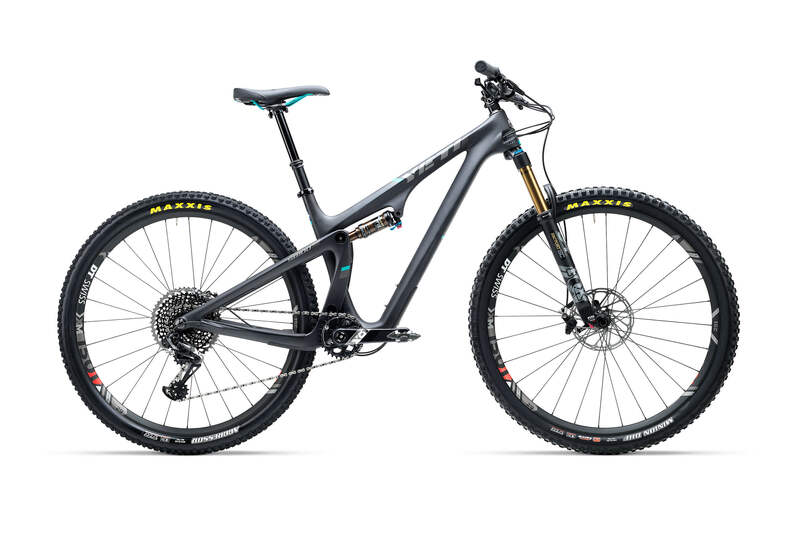 Yeti specs the new 120mm Fox 34 Step Cast fork that was just announced yesterday on the SB100, and builds start at $5,999. 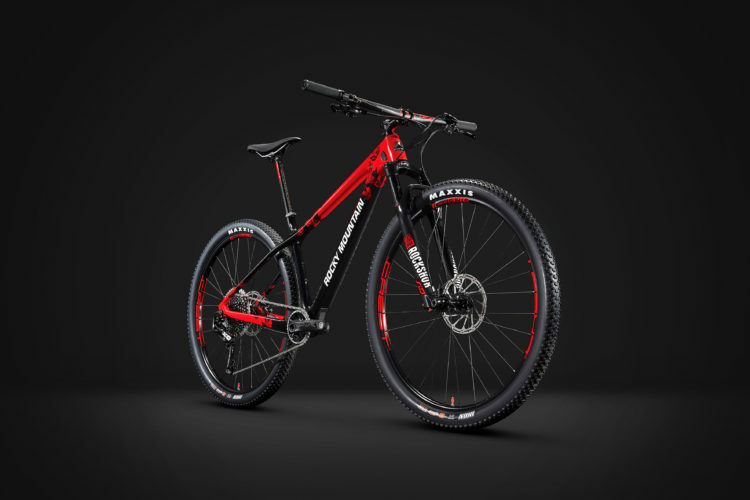 That’s a lot of coin, but even the entry-level build includes a SRAM Eagle X01 drivetrain, the new SRAM DUB carbon crankset, Fox Transfer dropper post, and Shimano XT brakes. 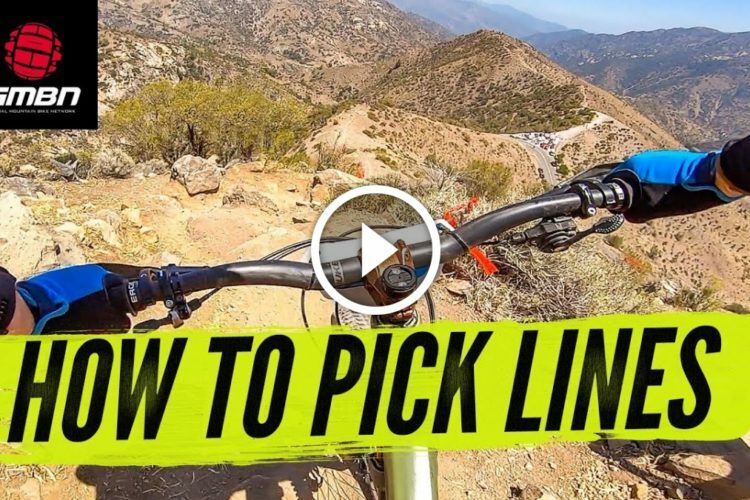 The pricier builds upgrade the fork from a Fox Performance 34 Step Cast to a Factory-level fork, and introduce top-shelf Yeti Turq carbon in the frame. A Turq frame-and-shock-only option is also available for $3,400. Since this is an XC mountain bike, weights are important. Yeti claims the entry-level SB100 weighs 27.3lbs. while the top-of-the-line, $8,999 SB100 weighs 25.7lbs. The Yeti SB100 is available at Yeti dealers immediately. 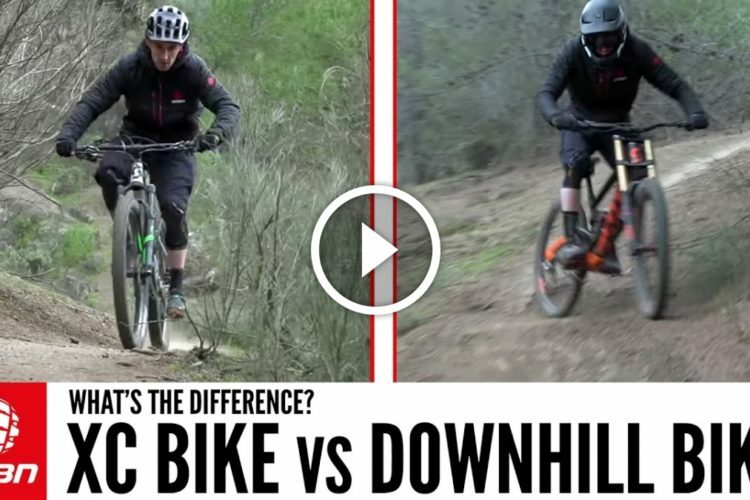 Watch: DH Bike Vs Cross Country Mountain Bike – What Are the Differences? This was a fair critique. 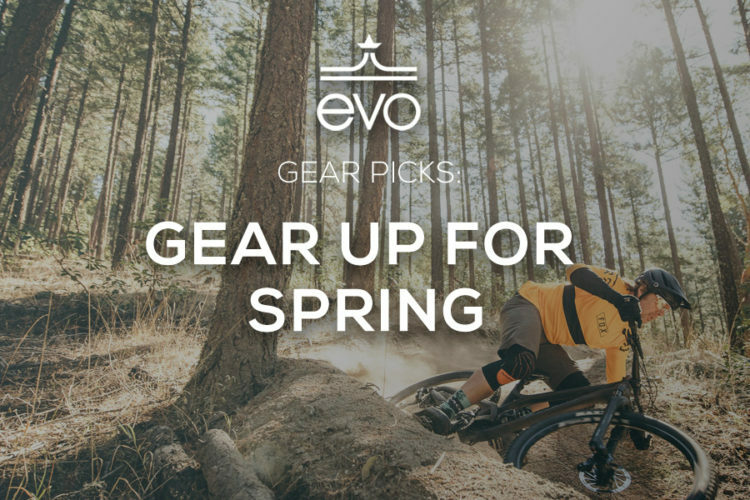 But people that buy Yeti bikes thunk 5 g’s is a bargain. I will never be able to share that view. But , that being said. 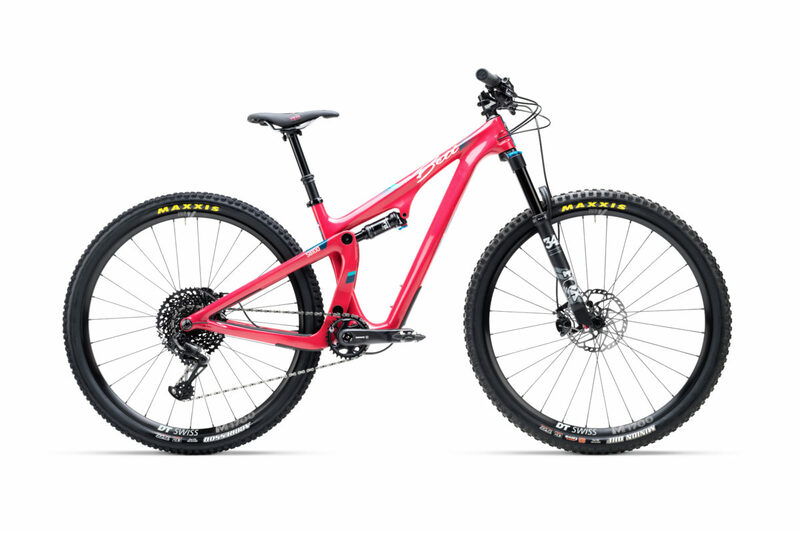 Nice looking bike and it will shred as a short travel 29er xc/ trail-ish bike. Photo shoes the bike sporting minions, Definitely leaning towards short travel trail bike eh?